The Bay Area Boat System (BABS) group promotes travel in the virtual world There.com by supporting a large network of landing towers for hoverboat crafts. Tours and floatilla events are set up by BABS for large groups of Thereians to travel around the There islands while making new friends and sharing good times together. Join tonight’s Monday Night Floatilla! Everyone meets at the event location and several hoverboat crafts are set out for Thereians to pilot or kickback and enjoy the ride as a passenger. Hop on your favorite hoverboat and take flight with some friends. If the floatilla has already left the first location and you are late to the party, you can catch up with the flight crew in the BABS IM on the BABS Club Home Page and request a summons to the floatilla. Join the group to stay up to date on BABS events! Is your virtual holiday home decked out with lights all aglow? If you’ve got your Christmas tree decorated and stockings on the mantle make sure to enter your home into the Festival of Lights Holiday Home Decorating Tour! If you’d like to be a stop on the tour, be sure to submit your build to RobbyBoy by December 15th. ThereHouses, Frontier Zones, Neighborhood Lots, PAZes and FunZones are eligible to enter. All entrants will be entered into a dice roll to win a RKM Christmas TUV designed by RK_Falagar. Send ThereMail to RobbyBoy or Email iRobbyK@iCloud.com. The guided Festival of Lights Holiday Home Tour will take place on Monday, December 19th at 7:00 PM PST/10:00 PM EST. If you cannot make the guided tour, there will be a Self-Guided Festival of Lights Holiday Home Tour that will take place between December 17th through the 26th. The host will track your journey on the tour with a quest kit. All participants in both the guided tour and self-guided tour will be entered into a dice roll to win a Christmas Sleigh and Reindeer Hoverboat designed by Migman. Good luck to all of our participants! Make sure to get your entries in by the 15th! The skies were filled with shiny stars and fire breathing dragons tonight in There over the mysterious island of Tyr. We captured some of the magical moments the Thereian community spent with the giant mythical creatures during the B.A.B.S. There is Feudal Dragon Floatilla event. Looking for some Friday night fun? Cross Country Racers (CCR) and BABS is hosting a Flamingo Fright Night CCR event that starts at 5:00 PM PT. Sign up for the racing event here. Discover what has the flamingos flying off in a flurry. Cross country racing in There is tons of fun! Explore the islands of There with friends and discover new locations. Sign up for the Cross Country Racing Club and keep up to date on future events. The Bay Area Boat System (BABS) has an exciting event coming up on Saturday, June 25th called Get An Eyeful BABS Adventure! They are taking Thereians on a magical flight to view the newest BABS outpost tower in There! What’s an outpost you ask? Catch a flight with the best Boat Captains in There and enjoy a leisurely tour to the newest outpost tower this weekend! The Bay Area Boat System’s 11th Anniversary celebration continues this week in There! 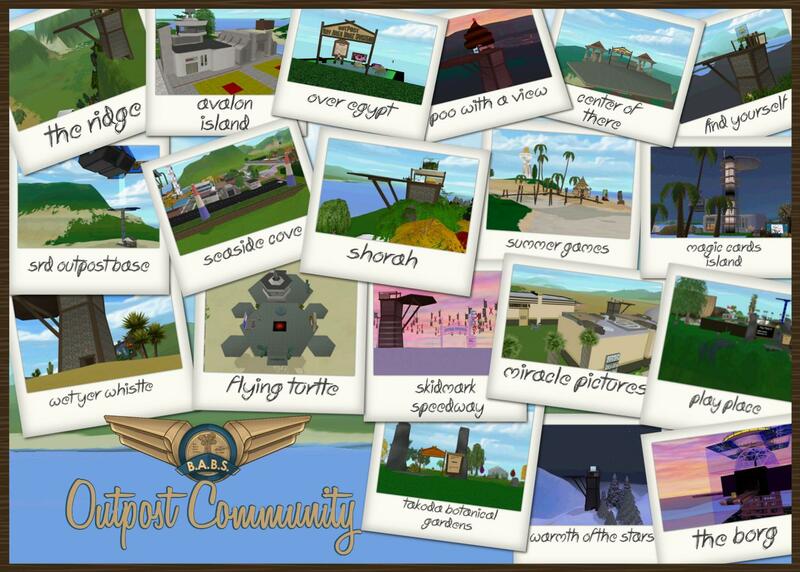 The Celebration in Pictures activity is going strong and LOTS of Thereians have sent in some fantastic hoverboat photos and BABS Outpost pics. Here are a few silly ones entered this past week by our members..
You can participate in the Celebrations in Pictures Activity by entering your photos too! There are several BABS events coming up this week that will offer the perfect photo opportunity! Chat with friends, lap the track and search the place for special treats! Join us for this BABS anniversary event. Enjoy Fall and race through the Autumn colored tree tops before all of the leaves fall to the ground for good! Random drawing for a prize at the end of the race event. YeeHAW! 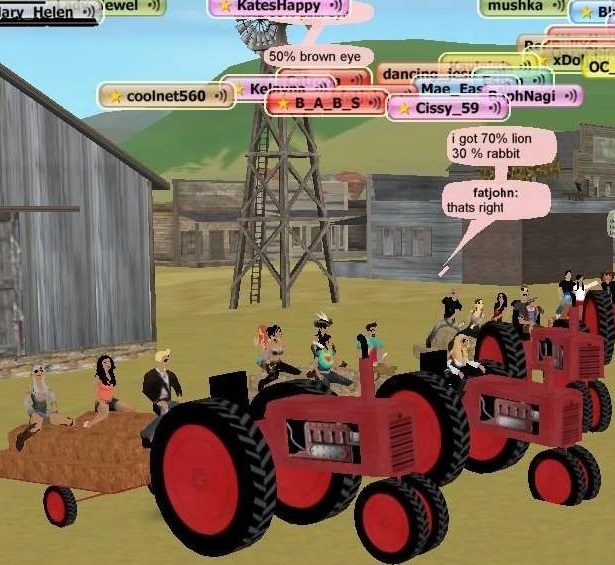 Hop on the hoverboat hayride and tour the countryside with friends! Bring your overalls and cowboy hats. The idea is to take pictures with any BABS Flight Captain, Host Captain, Outpost owner or capture photos of any BABS outpost tower, BABS event or tour to qualify for entry into a random chance selected reward. Prizes will be awarded at the Celebration in Pictures wrap-up party event to be held Thursday, October 16th at 7:00 PM Eastern/10:00 PM Pacific at the BABS Club House. Tonight is Thunderbyrd Flight Club’s T-byrd Tuesday event! The Thunderbyrd’s Flight Club is a group of Hoverboat pilots that get together bi-weekly to practice their flying skills as well as participate in fun and challenging events. 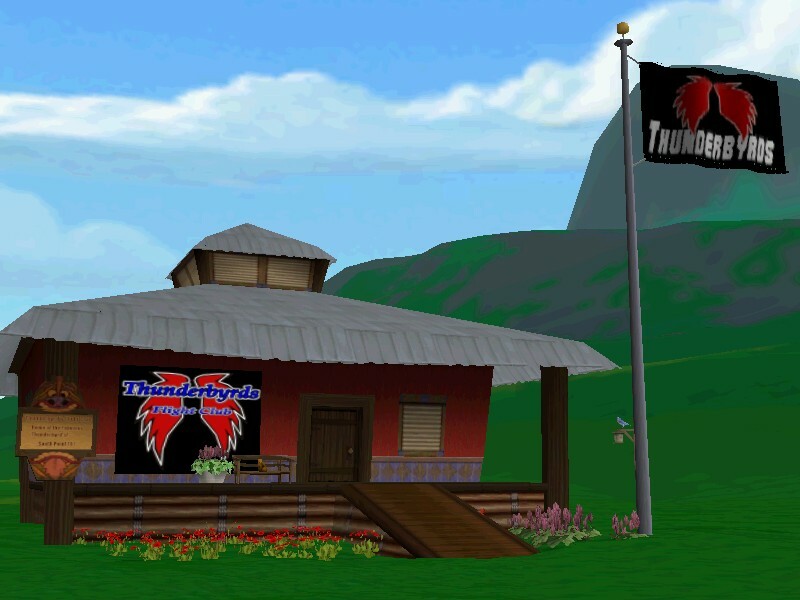 Join the Thunderbyrds Flight Club at NeNe’s Cauldron this evening at 5:00 PM PDT/8:00 PM EST for a game of Hoverboat Tag! The Hoverboat is a five-person vehicle that lets you hang out while you’re getting around! Whether you fly by yourself or give your friends a ride, piloting a Hoverboat helps you gain points on the Boat Captain skill ladder. A variety of standard Hoverboats are available for purchase in Shop Central, and you can also find many fun and whimsical designs by our members in the There Auctions. See if you’ve got what it takes to be a T-byrd. The Thunderbyrds Flight Club is accepting applications for experienced Hoverboat pilots. If you are interested in becoming a T-byrd boat captain, contact the Club Leader SunnyMusic for more information.